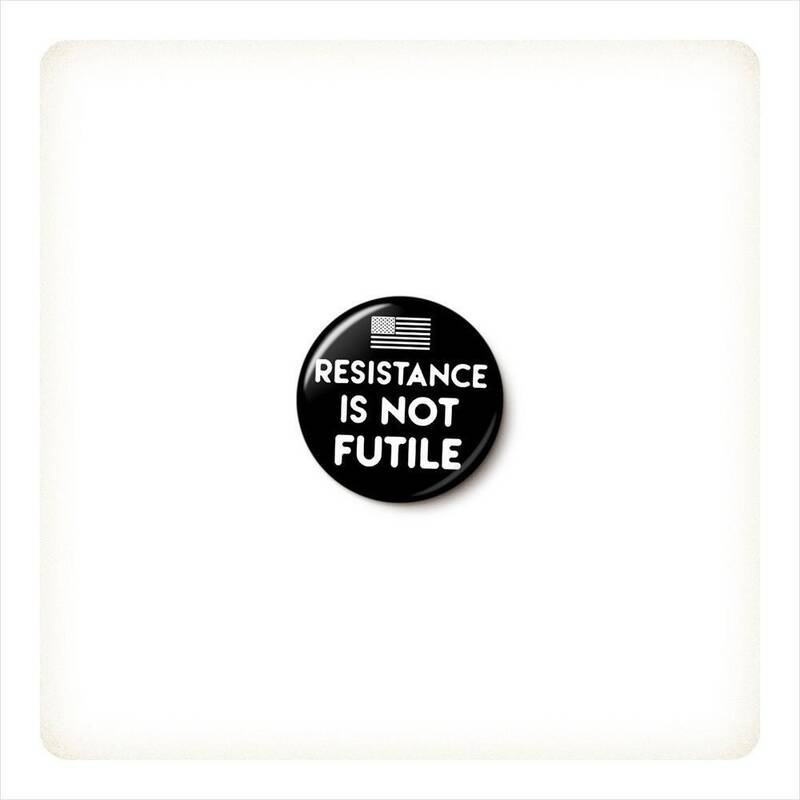 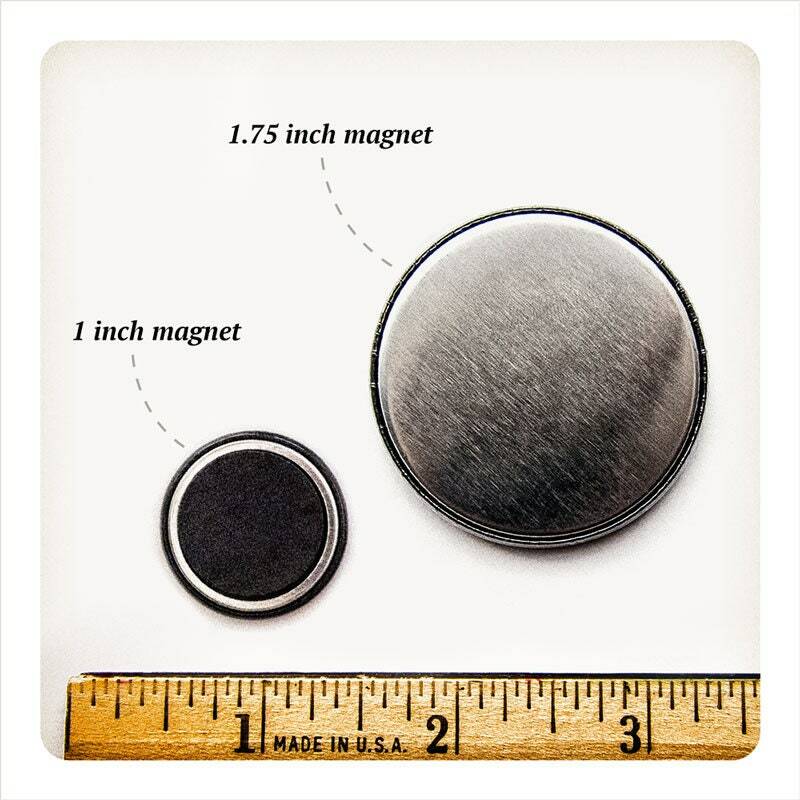 Resistance Is Not Futile pinback button or magnet, your choice. 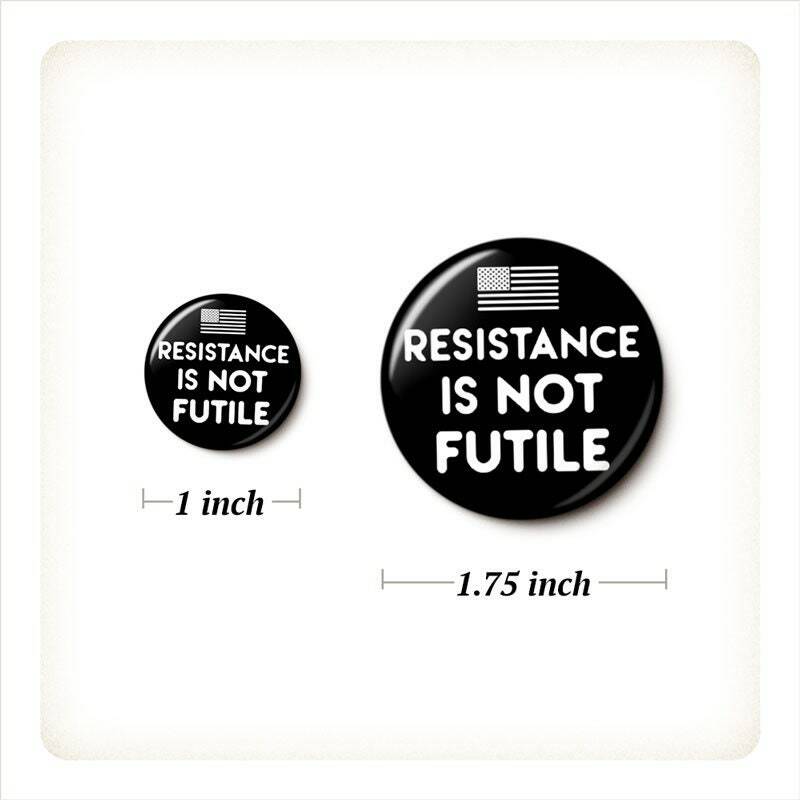 Enjoy wearing these, as part of the Resistance!!! 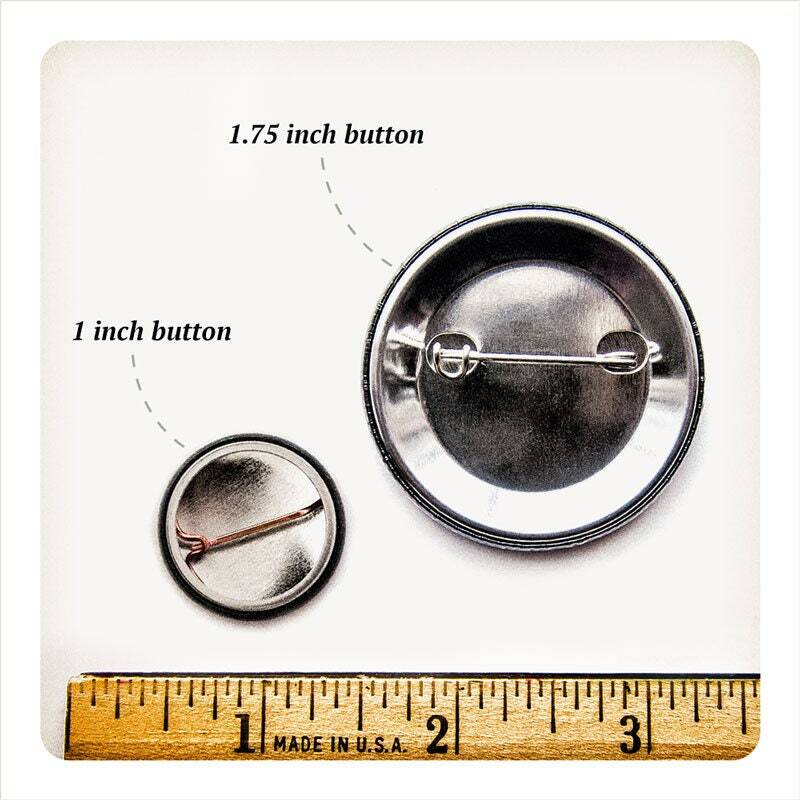 Came quickly, very pleased.